Good morning/afternoon/evening poets. My name is Tony Maude and it is my pleasure to once again welcome you to Form for All. By now I expect that you’ll have noticed the word Mathematical in the title of this post and some of you will likely have broken out in a cold sweat. Fear not, brave poets. While there will be some Math(s) in the post, to rise to today’s poetry challenge you really don’t need to know any Math(s) at all … smiles. The idea of using a mathematical series as the basis for poetry forms seems to be a fairly recent development. The way the idea works is simple; you take a mathematical series and use each successive number in the series to determine the length of each successive line in your poem, usually counting either syllables or words. The most popularly used series is the Fibonacci series – we’ll come to that later – but there are others that could also be used. The simplest mathematical series is the first one that each of us learned, usually quite early in our childhood, when we learned to count. That’s right – the sequence 1, 2, 3, 4, 5, 6 etc is a mathematical series, with each member of the series being greater than its predecessor by 1. This series can, of course, be used as the basis for a poetry form with each line being one syllable or word longer than the one before it … see, I told you that you didn’t need to know any Math(s) … smiles. For our purposes we can ignore the first term in the series – a line containing 0 words isn’t going to be all that interesting … smiles – so the first two lines of a Fibonacci poem contain 1 syllable or word, the third line has 2 words/syllables, then 3, 5, 8, 13 … and most people stop there, especially if they are counting words. As with the counting sequence above, it seems to me that, as poets, we might want to count metrical feet, rather than words or syllables, when we write our own poems based on this series. 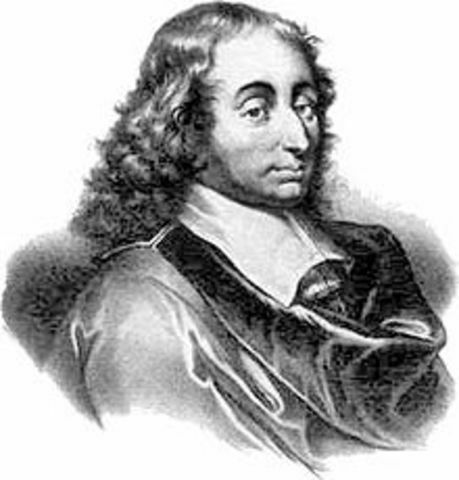 French mathematician, inventor, physicist and philosopher, Blaise Pascal was a truly remarkable man who achieved more in his 39 years of life than most of us can even dream about. Some of us will know his name because Pascals are the official IUPAC unit of pressure. More of us will know about Pascal’s Wager – if a man gambles that God exists and lives his life accordingly, only to find that there is no God, then he has lost nothing. Conversely, if he gambles that there is no God, lives accordingly and then finds that God does exist, he has lost everything. I’d like to draw your attention to the dark blue line of numbers, labelled Triangular Numbers in the picture above, because it seems to me that this series could also form the basis for a poetry form with 1, 3, 6, 10, 15 etc words/syllables/metrical feet in successive lines. I’ve not yet come across any examples of poems written to this form; this is your chance to change that … smiles. The mathematicians amongst us will recognise the sequence 1, 2, 4, 8, 16, 32 etc as the powers of 2 – and the computer scientists should recognise it too … smiles. I believe that we could use this sequence to form the basis for a poetic form with 1, 2, 4, 8 etc syllables/words/metrical feet in successive lines. (I think 16 words or metrical feet in a line might be a stretch; 32 syllables might be too … smiles.) Again, I haven’t found any examples of this yet; maybe yours could be the first! I hope I’ve managed to convince you that the various mathematical series presented here – the counting series, Fibonacci numbers, triangular numbers and power series – offer great potential as the basis for poetry forms; I’ll be really happy if I’ve managed to persuade you to try writing a poem using one of the series as the basis for its form. As you write, don’t forget all the other tools in your poet’s toolbox: rhythm, end rhyme, internal rhyme, enjambment etc. Also, if you are writing by counting syllables, try to end each line with a strong word (a noun or a verb, perhaps an adjective, but not definite or indefinite articles, conjunctions etc). It’s probably better not to divide words across lines to meet the syllable count either – unless it’s done for deliberate effect. there are almost limitless possibilities. • Write your poem and post it to your blog. You might want to include a note to let readers know which mathematical series you’ve used – and to point people to the dVerse Poets’ Pub … smiles. PS: You can write and link more than one poem if you wish. It’s only on Open Link Night that we insist on 1 link per person. ok, while i am teaching math this year i took the easy route with this one…counting words is so much easier…haha…. Counting words is definitely the easier option. Of course, while antidisestablishmentarianism is long, if you were really wanting to have fun with a single word, you could have gone with pneumonoultramicroscopicsilicovolcanoconiosis … although it’s not a very nice word, seeing as it’s a lung disease. oh dang…your words longer than mine…ha…. 45 letters….wow… think that’s the longest word i ever read in my life..
Have you seen Henning Wehn telling us how to pronounce it and what it means? It’s here http://www.bbc.co.uk/languages/german/comedy/long_words.shtml for anyone who is interested. There was me thinking that Pfeffermintpastillenschachtel was the longest word I would ever come across, but that seems kids’ stuff now. You know Math is not my thing, but I still love your prompt, Tony… thanks! Maybe I can get my mathematical genius into poetry. Thanks Laurie. It’s not really about the Maths though, it’s about looking in different places to find patterns for (new) poetry forms. Well, Tony, you don’t pull any punches, do you? I am giving you the basics and will now start thinking about doing it in stresses, or is it feet? Happy Thursday to you, Tony. I enjoyed your prompt. 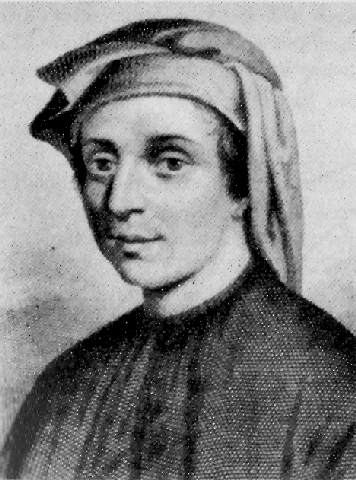 I do like having a reason to write a fibonacci poem now and then! Strangely enough, I was busy counting syllables for a poem I was working on today – although maybe not quite in the way you envisaged. I was also trying to make it rhyme, which is too much for my poor head (goes to lie down in darkened room with wet flannel on her forehead). I may post the sorry result tomorrow morning, but it’s certainly not good to go tonight! For my second one today, I seem to have managed to include some internal and end rhymes, but I wasn’t really concentrating on that at all … smiles. I’ll look out for your poem when you post it, Marina. post it! i want to see it….smiles. Tony, awesome challenge — I love math! Short and simple suits me, Linda … smiles. Peace to you too. looking forward to it shanyn…. I hope you like my patterns, they are there, some more subtle than others! Thanks Claudia! I took this to a fun place, hope Tony doesn’t mind! 🙂 And I had a great time tending bar. Looking forward to coming back for another shot! Argh…WordPress is busy eating my line breaks! Will try to get them to stick, if not will have to try something else! Hey Tony. Great article. Love the detail involved. I was married to an engineer. Wish he would return from the other side to help me think about this. While life has settled a little for me, I’m always busier than I anticipate being the only one to keep things going in a much larger place; so, the poem I hoped to have ready for today is still germinating. HOPEFULLY I will be able to compose it by day’s end even roughly in draft form. Thank you for linking to my article. I will try to write mine in metrical feet but likely without rhyme – I’m not sure I’m up for that much mental gymnastics. Really like all of these ideas and think we can all return to them regularly. After my last poem, I probably should try to make order out of chaos (smiles). See you guys later! Have a round on me. looking forward to it gay….let it germinate…when its ready let it go…smiles. I must say I’m a math guy and love what you can do with it. Symmetry etc makes this so much fun. I’m still traveling but will do my tour commenting. You took a very creative turn with this, Björn. Safe travels. Education is what you have left when the facts are all gone. I did a small triangle but then made it a palindrome. Am so impressed with myself. lol Thanks for this challenge and for Bjorn’s palindrome reminder and inspiration. But he did the F word one. you both did very well…. I think you are right 😉 we did! so you in the morning…. Hi Tony, you have me running scared 🙂 maths was/is not my strong suit, even trying to work our the calculations is making my head spin..will I attempt…heaven only knows – but very interesting indeed. Tony, goodmorning. I was too tired last night to follow the links you gave us, but now, bright and early, I had a read: fascinating. You must have had fun researching. Thank you for bringing numbers and maths into our poetrywith such enthusiasm. Most of this stuff was lurking in a forgotten recess in my memory … but it was fun to remind myself of things I used to know. Love math, and math will love you back. So, I might be late to the linky, yet again, Tony but I will give this a try. Hhmmmm, what are those words and sentences that read the same backwards? Are those mathematically inclined too? Those would be palindromes, Ninot. Of course it is! Fun prompt and reading all the posts. I’m afraid it was hard enough getting the syllable count right, and trying not to be banal in the expression of the sentiments — I didn’t even try for rhyme or metre. I went for Pascale’s Triangle, as I have written Fibonacci already. I found your poem moving; it made me think of people I loved who are no longer alive. I’m thrown off kilter when Math is flung my way, which–despite its rich vocabulary–overthrows all language by the use of numbers and signs. But once, long ago, I longed to ride its waves across the universe. This ceased in high school when a teacher tangled me in trigonometry. I entered your prompt through the outskirts of math and art. BTW, I merely counted words, trying to make them count. There’s poetry everywhere – even in traffic jams. just getting back in and had a bit of catching up to do…we had a football game tonight…. Time to clear up around here – you know, mop down the bar, refresh the sawdust on the floor etc and get the keys delivered to Mary – it’ll have to be Express Mail to get them there on time. I missed Mr Linky because I was travelling for 30 hours but will post here.